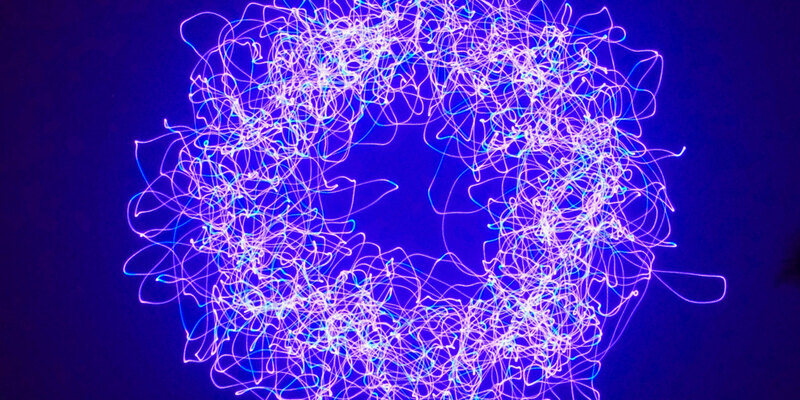 Expanding circles of light and synchronised sound. 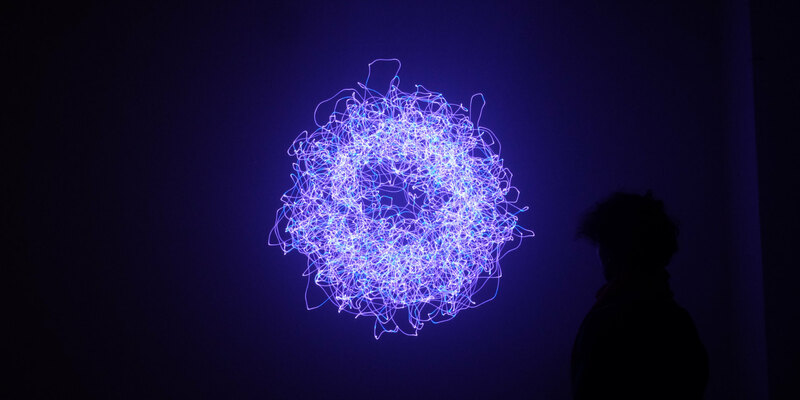 The title refers to a mathematical term: the trigonometric functions, which are the basis both for the theoretical construction of an ideal circle as well as for the practical calculations to create them in the installation. 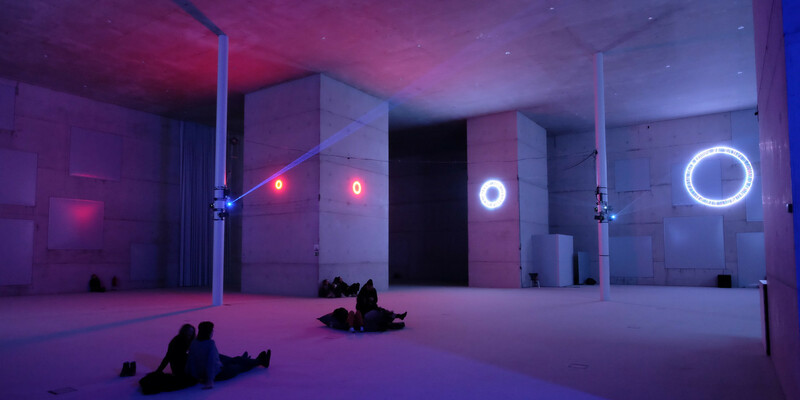 Cos/Sin is a commission on the occasion of '100 years of Bauhaus', turning the second floor of the iconic Sanaa building at Essen's Zollverein cultural heritage into an abstract and minimalist audiovisual experience. 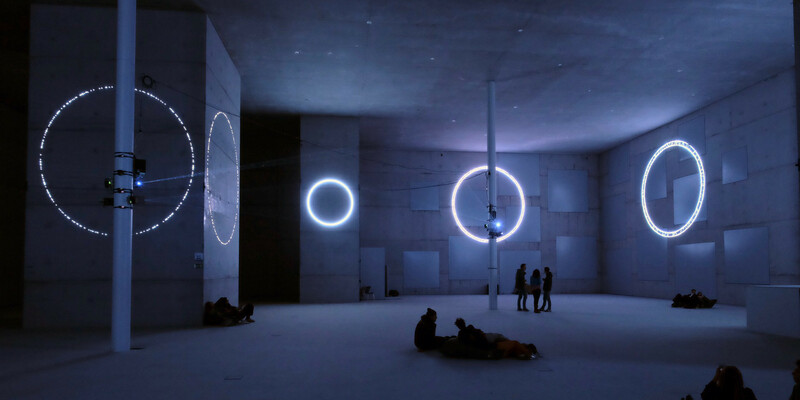 Based on the simple and pure geometry of perfect circles, which are projected on the concrete walls inside the building using several laser scanners, a sequence of light and sounds unfolds into an immersive audiovisual ballet. 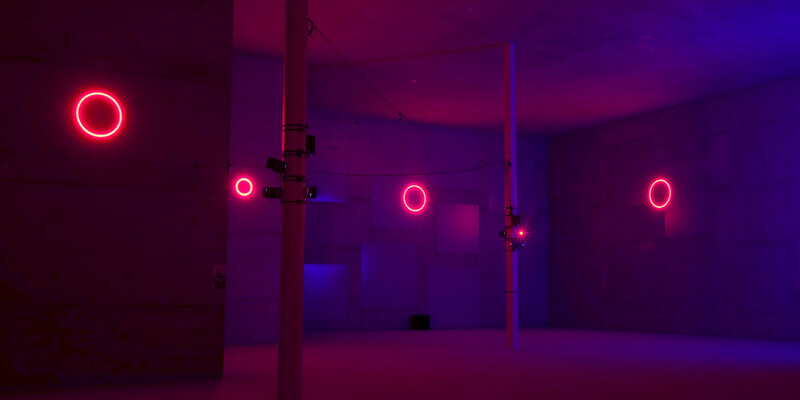 The size, color, and texture of each circle, and its location inside the room is controlled by a computer program, which also creates synchronised sonic events, resulting in a complex spatial audiovisual composition. Installation made possible with the generous support of LaserAnimation Sollinger Berlin.